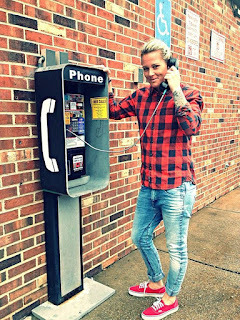 If you aren't sure who Ashlyn Harris is, she is a USWNT and Orlando Pride goalkeeper with an amazing sense of style. She has an amazing androgynous style and one that I have loved for quite a while now. She has chopped off her long blonde hair and gone for a short brown style which I adore. I am in fact hoping to start doing my hair a bit like hers as something a little different. Her tattoos just add an edginess to her entire look. I love this t-shirt in this image as it is slightly oversized and goes perfectly with the darker coloured trousers. The glasses even go with this look as the frame goes well with the t-shirt. The watch is the perfect accessory too. This who look isn't too basic but isn't too dressy, perfect for a casual type of party. The hair in this image is also the type of style I think I want to go for. 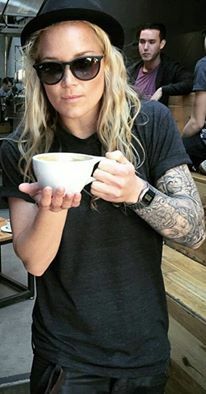 I also love the whole black outfit that Ashlyn pulls off quite often. the black hat, t-shirt and trousers with the small silver watch just work together so well. The sunglasses also fit Ashlyn perfect which is something I struggle with. Something else I really struggle with is shoes. I just throw on the same old pair day in day out. I really want to try spend more time in a morning piecing items together. 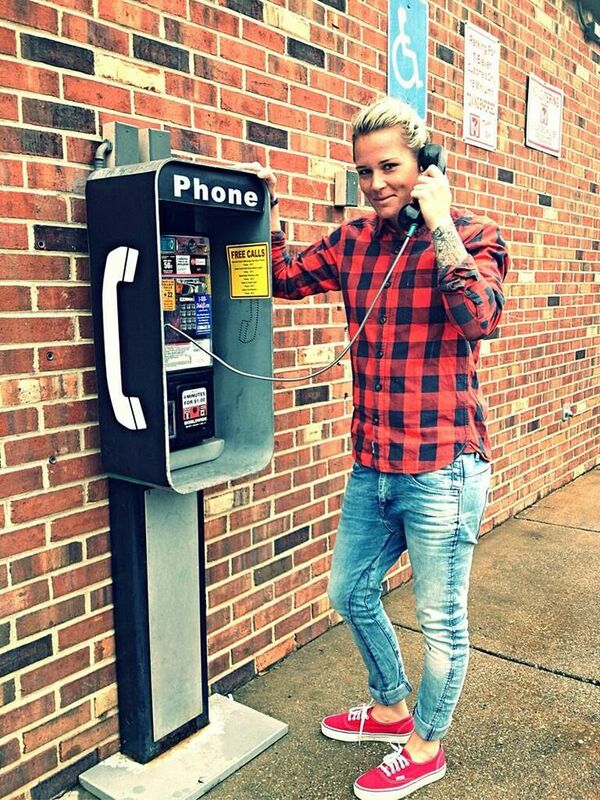 Ashlyn has done this so well in this image as the red vans match the shirt perfectly and the washed type of jeans top the outfit off. I think it is about time I start focusing on matching outfits and stop being so lazy. 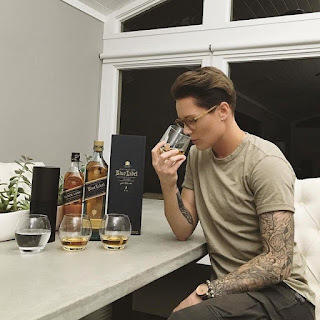 For a super casual laid back yet on trend look I love the way Ashlyn teams a printed t-shirt up with skinny black pants, black and white trainers, watch, sunglasses and a backwards snap back. Perfect for a casual day out or a shopping day this whole outfit looks so comfy. 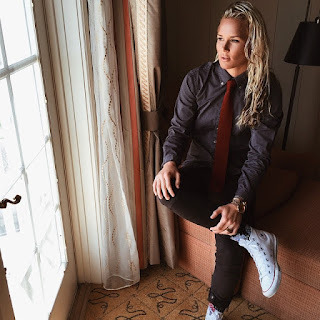 For a more dressy event I love how Ashlyn teams up a dark shirt with the tie and skinny pants. Although this outfit is very dressy the nice white clean converse add a little bit of a laid back feel to the whole look. Teamed up with the smart watch this outfit would be perfect for a meal out, night out or possibly even a laid back meeting. So there you go those are just a few of Ashlyn's looks I love. I hope that one day I can get a couple of outfits thrown together like this and spend more time planning outfits instead of just picking random outfits out every day. It is time to start loving my style and trying out different combinations to find what is perfect for me. Can you recommend any shops where I may find the best items from these looks? Let me know in the comments below.